This is one of those posts where I have no clear direction and I don’t know where I’ll end up. However, here I am willing to make no sense and do it publicly! There’s not much in the house in the way of groceries. 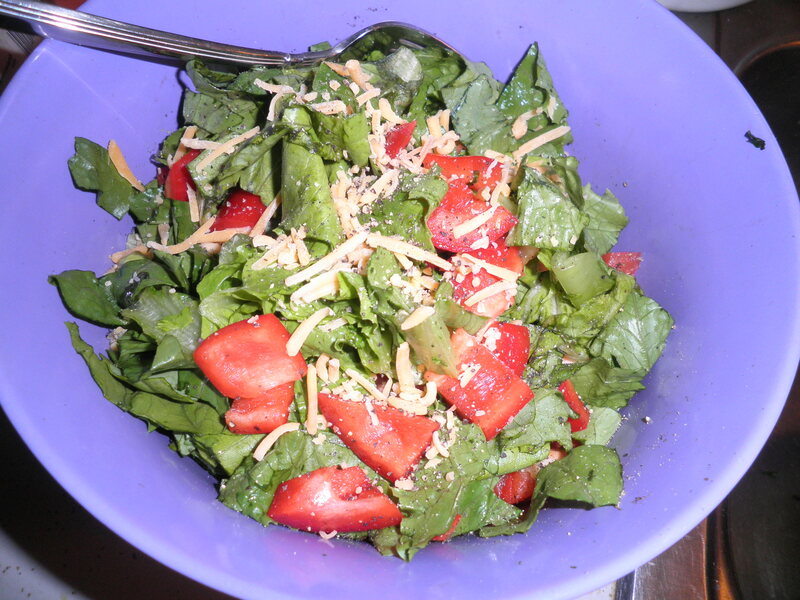 I used the very last of the Romaine last night for a salad. It was good in spite of not having any add ins other that shredded cheese. When I got up Wednesday morning, knowing the lack of groceries, I thought about making one of the Weight Watchers soups I always like to make in the Fall and Winter. I was pretty sure I had all of the ingredients. However, what I didn’t have and couldn’t find was the recipe! 😦 I decided, Oh Well…I’ve made it enough times, I could figure it out. 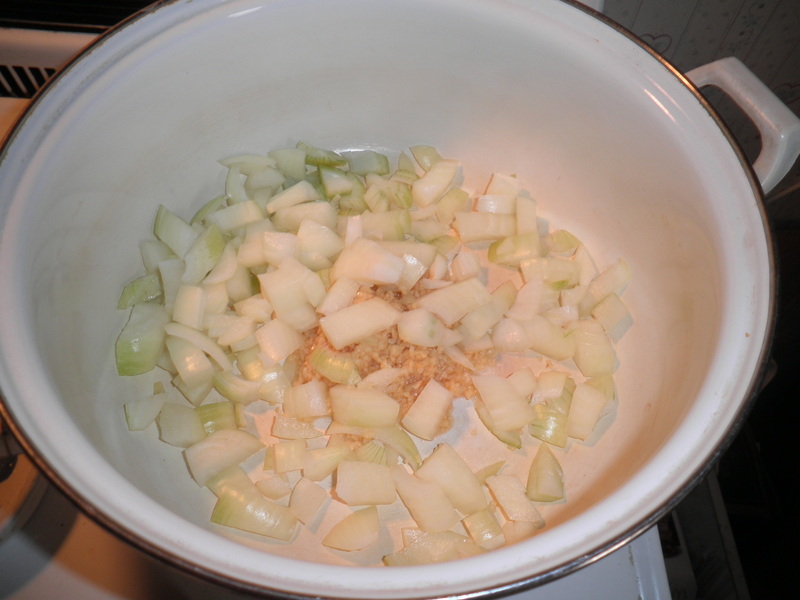 Started with garlic and onions with olive oil. I added in a lot of dried Italian seasoning and some ground black pepper. 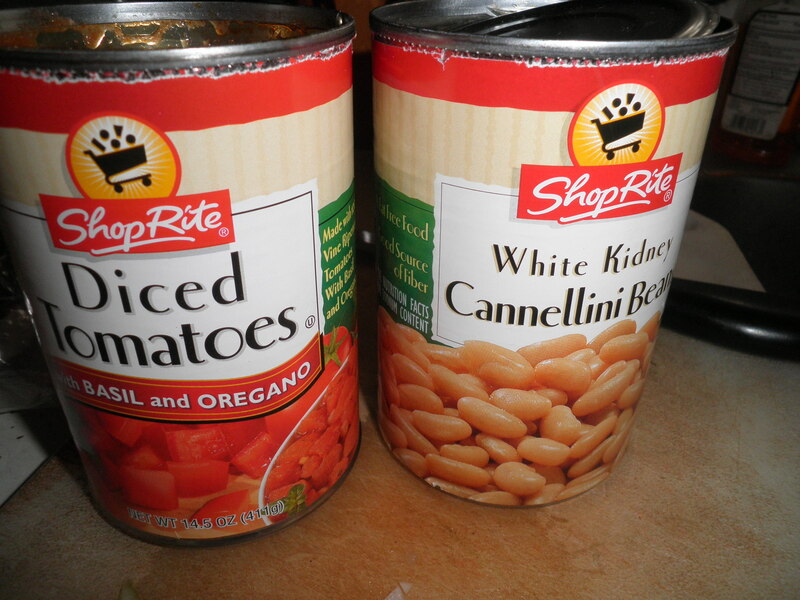 I opened a can of diced tomatoes and a can of white cannellini beans. I drained and rinsed the beans. Added them to the pot with 3 tomato cans full of water. I think it called for 3 cups, but I’m not sure! 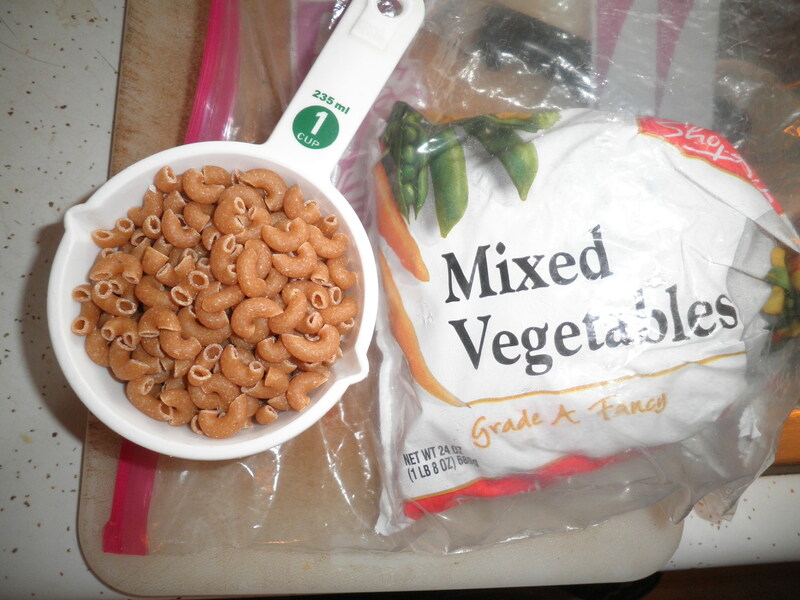 Frozen mixed veggies (I used all that was left in the package-they were old and needed to be used) and whole wheat elbow pasta. I’m not sure if the recipe called for 3/4 cup or 1 cup. I did 1 cup. The finished product. Now I haven’t tasted it yet, but I’m sure it will be fine. I figure considering the fact that I make things up all the time, why not just make this up as I go along! I’m pretty sure that I’m close to the original. The test will be when we eat it for dinner! I’ll top it with grated cheese and that will help ANY thing! Obviously, this all means that I Must go grocery shopping tomorrow. I feel I’ve done really well this week so far on my food choices, so it really would be nice if I have something in the house to work with . I’ll get through all of this. A big pot of soup always makes it better! 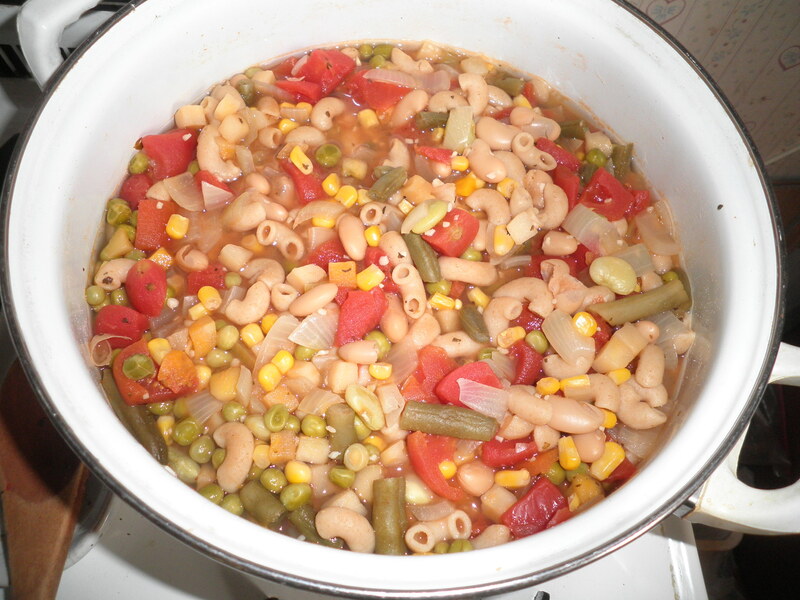 This entry was posted in Uncategorized and tagged beans, recipe, veggies, Weight Watchers. Bookmark the permalink. way to go with the soup, fran! that’s the great thing about soup or chili: it’s very forgiving in terms of playing with quantities and ingredients! happy grocery shopping (well, at least it is one of the household chores that i don’t mind…better shopping than dusting!). I agree with that, Cathy! Only trouble is now it’s raining. Hate grocery shopping in the rain! Hopefully it will stop soon! The soup was So good. Love this time of year for the soup! Have a great day! I love winter because I love soup! Making a big pot and having it last for a few leftovers is the best! Also being prepared is definitely a must when trying to stay on track. I did all my grocery shopping on Monday and $150 later am totally prepared! Marie, Wish I was prepared! Still need to get out! I love soup and the cool thing with yesterday was…I already had everything I needed. It’s easy to make soup with a few staples even if the cupboard is bare! Thanks, Stacie! I just love soup and I’m happy it’s soup weather again! Not a happy puppy if he can’t get out! The soup was so good, Allie. Even Ralph loves it, got some fresh roll from the corner store and we were set!